Once called the “pinecone mushroom”, this spiky character is certainly an interesting find on a summer’s walk in the woods. The cap is speckled with black, wooly scales. Old Man of the Woods is a bolete (note the pores on the underside of the cap instead of gills) that is mycorrhizal on hardwoods. 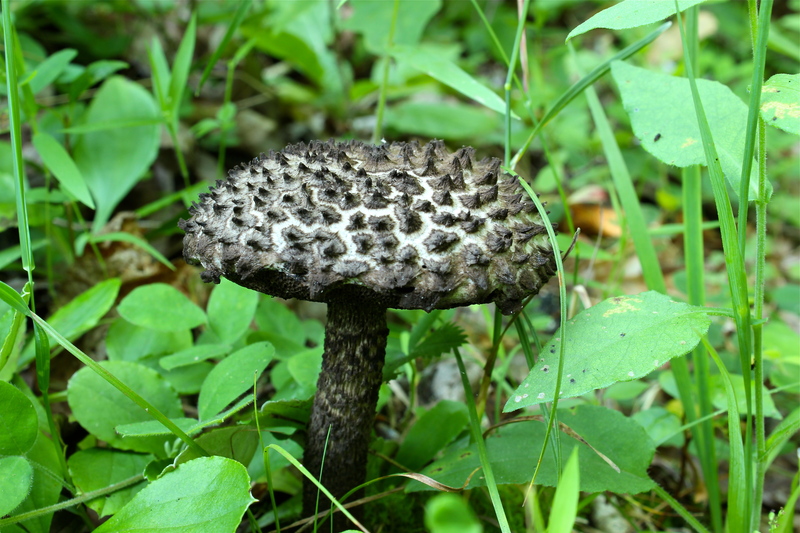 This mushroom is common on the east coast of the U.S. in summer and fall.